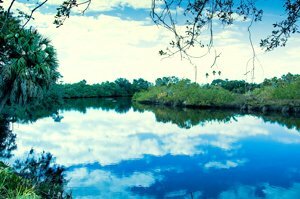 The creation of a municipal service taxing unit (MSTU) district which would fund the land acquisition of the 33-acre planned preserve is already underway, following Manatee County commissioners’ approval of the move early this October. The proposed MSTU district, covering some 1,400 homes in Braden Woods and River Club, will purchase the preserve’s land with Manatee County funding site maintenance and improvements. The residential properties in the two neighborhoods within the taxing unit will be assessed for a 30-year period in connection with the land purchase for the preserve. A campaign is in the works to educate the concerned parties, mainly the residents covered by the planned MSTU district, about the funding for the preserve. Later, the county would conduct a poll amongst the affected residents if they favor creating the MSTU; a majority vote would create the tax district after a public hearing. The facilitator of the land sale for the preserve, which has been estimated at $3 million, would be the Conservation Foundation of the Gulf Coast. A pledge of $25,000 for the purchase has also been made by the Manatee Fish and Game Association through the Manatee Community Foundation. An 11-acre adjacent parcel could be added to the planned Braden River Preserve. Its late owner has willed that his land be utilized for conservation, the will’s execution is now being mediated with his heirs. Neal Communities earlier sought to build 32 homes at the site of the planned Braden River Preserve, as well as construct an access road to the property. 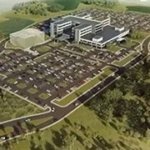 This proposal, however, was met by strong opposition from local residents. They banded into the Friends of Keep Woods to advocated for the creation of the preserve, and this citizens’ action group is now heading the information campaign for the creation of the new MSTU district. If created eventually, the preserve would be a passive park with no amenities or attractions added. The site is just north of the Braden River which serves as a magnet for prospective buyers of Bradenton homes for sale in the East Manatee area. Braden Woods would particularly benefit most if the establishment of the Braden River Preserve eventually pans out. Established starting in the early 1980s, this community was developed with land as its main amenity which could be seen in its home lots ranging between half-acre and a one-acre plus. 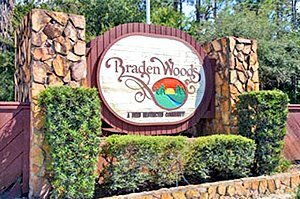 The market of Braden Woods homes for sale has been quite active this 2017. About 20 homes have been sold so far this year, and some deals were closed after only a few weeks of the properties’ listing. Pricing of residences in this community typically start from the high $200s for sales listings with floor areas of about 2,000 square feet designed with three bedrooms and two baths. Larger four-bedroom residences with floor spaces upwards of 3,000 square fetch prices in the $400s.